Probably everybody has a closet or drawer in their home that is completely dysfunctional: the items are stuffed in every which way, things are spilling out, and you hate to open the door in case everything just explodes from its tight confines onto the floor. This is not how you want your storage unit to be. 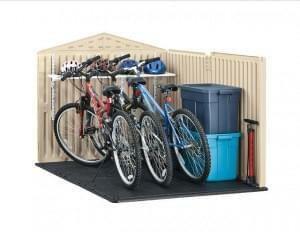 You want your storage unit to be clean and organized, so you can quickly access your belongings when you need them. Packing a storage unit takes a little planning and thought, but the few minutes you put into planning where everything will go can save you both time and money in the long run. Planning will save you time if you are ever in need of retrieving a specific item or two and won’t have to search every box and bin to find it. It will save you money because you can fit more into the unit and will not have to replace damaged items that break or become mildewed. Here are a few tips for making and executing a plan for packing a storage unit with your stuff. Label all boxes. Is it tedious to label every box? Yes. Will you thank yourself for it later? Absolutely. Labelling boxes and bins allows you to see at a glance where each item is placed. You even have several options for labeling, depending on how in-depth you want to be (you’d rather over-label than under-label). Label each box according to its general contents, e.g. Kitchen Utensils, Extra Couch Pillows, or Books. You can also label each individual item in the box, which takes longer but helps you locate any one item very quickly. You might want to take pictures of all items in a box and tape the picture to the box itself. That sort of thing was a lot easier when Polaroid cameras were common, but you can get creative with your digital camera and a color printer. Heaviest items on the bottom. When it comes time to move boxes into the storage unit, make sure the heaviest boxes are at the bottom of the piles. In addition—and this is really, really important!—make sure that boxes at the bottom are packed full in order to hold the weight of boxes stacked on top. If you have a box of books that still has some empty spaces around the sides and top, pack the empty spaces with filler material such as packing peanuts. By packing the empty spaces of the bottom boxes, you ensure that those boxes won’t collapse and sag under the weight of boxes stacked on top, thus causing an avalanche and possible damage to your possessions. Also, make sure that you don’t pack any boxes heavier than you can lift, whether you are picking them up yourself or using a moving dolly. Put least-used items at the back, most-used items at the front. This seems like a no-brainer, but it’s very easy for boxes to just get stacked willy-nilly during the unloading part. Sort boxes according to their place in the storage unit before they go in. Either pack your truck or car strategically so least-used boxes come out first and go in the back or label each box beforehand and sort them at the unit. When you need to retrieve something you often use (documents, tools, etc. ), it will be right at the front, easy to access. Allow for air flow. Molds and mildews love a good damp situation where there is no moving air. Defeat mold and mildew by allowing air to flow around your possessions. Make sure there are small open spaces between box columns or raise boxes off the ground with pallets. Climate-controlled storage units are ideal if you are storing textiles, upholstered furniture, or valuable documents in a hot and humid climate such as Florida. You can reserve your storage unit today in less than a minute, by contacting us at Value Store It. We look forward to serving you and meeting your storage needs.